GoodMap is an online tool that helps nonprofits connect to each other and share information about community resources. Stay tuned for more info about our exciting expansion in 2017! Find, organize, and share community resources. Users can search for organizations and programs by keyword, and filter based on category and location. Relevant organizations are displayed on the interactive map. Case workers can find, organize and share the best available resources for each family or individual in their diverse case loads. Schools can share pre-made guides so their teachers and administrative staff can properly refer students and their families to the right programs. Foundations and nonprofit funders can organize the programs they support, finding new community investment opportunities. Hospitals and healthcare centers can connect their patients to the best available resources outside of their own walls, promoting overall health and wellness. "Achieving good health requires more than just health care. Being able to conveniently access the information patients need with an easy-to-use website, like GoodMap, could help healthcare providers efficiently link patients with these resources that are so essential for their health." "GoodMap provides a simple, elegant way to have significant impact on the community development field by revolutionizing the way we share information, knowledge, and expertise." "[Groups] like STL Village provide services and activities for its members and GoodMap offers a superb platform to catalog these resources." "Our agency provides hundreds of referrals daily to victims of crime and violence utilizing a resource directory we maintain. GoodMap saves nonprofits hundreds of hours of administrative work annually by streamlining this process and providing continually up-to-date information." 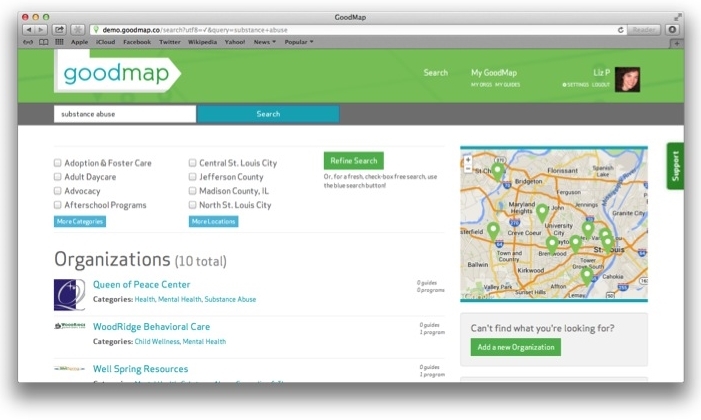 GoodMap is CURRENTLY SEEKING PARTNERS IN THE ST. LOUIS AREA. 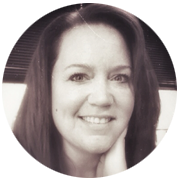 If you WANT to TALK TO US ABOUT HOW WE CAN ENHANCE YOUR MISSION, PLEASE REACH OUT BELOW!